Pulling another zombie cat out of the catacombs and putting it in the Zombie Cat Adoption bargain bin ... time to move a little inventory before my birthday. 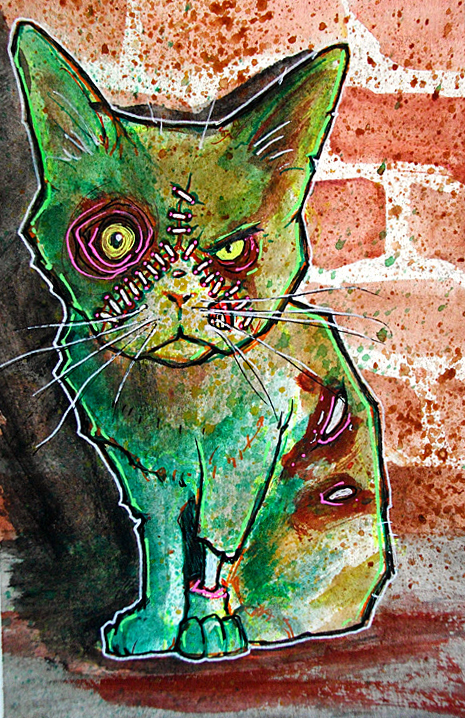 Make me a happy little zombie cat creator and adopt a little undead kitteh. Each adoption helps grow the horde by enabling me to purchase more art supplies ... and now I've started to work larger so I need these little putrid pussies to get some new forever homes. Check out this bargain bin cat, and some of the others. Payment plans are an option too.